So what is a Jollibee? That is a question you would be asking if you live outside the Philippines, but inside the Philippines the Jollibee is a massive brand and known by nearly every Filipino. Still not sure what it is? Well soon it may go global and you may be sitting down to a Jollibee meal in a country outside the Philippines. Jollibee is the Pinoy version of McDonalds with a very similar range of products throughout their nearly 1000 outlets across the Philippines. Back in the 1970s the owner was Tony Tan who was running an ice cream parlour, but after taking advice he changed from ice cream to hot dogs and Jollibee became the launching pad for his enormous wealth. There are now also around 100 branches outside the country. Where does Jollibee came from? Tony Tan was actually born in China and moved to the Philippines to find a new life in his 20s. Jollibee has had different spellings from the 70s to now with Jolly (his word for Filipinos) now becoming Jolli. Almost 15 years when Jollibee entered the industry but they rapidly became successful to other fast food that came first. It wasincorporated a 100% Filipino company 1978 with seven outlets toexplore the possibilities of a hamburger concept. 1979 is theintroduction of Spaghetti Special. 1980, First TV commercial waslaunched by Jollibee, Chickenjoy and French Fries are launched andit is the introduction of Jollibee mascot debuts. Then Jollibee Palabok Fiesta’s introduction was 1982. In 1984, Jollibee hit the P500 million sales mark, landing in the Top 500 Philippine Corporations. By 1996 By the Far Eastern Economic Review Jollibee has been cited again as one of the leading companies in Asia having cited it last 1994 and on the same year Mary’s Chicken was born last July 10. It is a semi-self service restaurant and another Jollibee subsidiary it is also in the same yearof launching of Jollibee’s Amazing Aloha, opening of first Jollibee inHongkong and the launching of the project Maaga ang Pasko sa Jollibee and Chikiting Patrol: at Home Ako Dito. These projects’ mainobjective was to protect and contribute to the development of theFilipino children. By 1999 Jollibee opened 50 stores nationwidewhich makes a total of 350 stores and Cheezy Bacon MushroomBurger has been introduced to its line of specialty burgers. 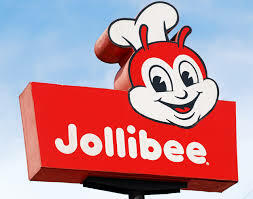 By 2000,31 more Jollibee stores opened, bringing the total to 381 stores and Jollibee obtains Chowking Foods Corporation, Asian BusinessMagazine ranks Jollibee as the Most Admired Company in thePhilippines and the 3rd over-all in Asia, surpassed only by globalgiants General Electric and Microsoft and reaching a systemwidesales of P20 billion. Jollibee also acquired Red Ribbon Bakeshop in 2005, another popular fast-food restaurant in the Philippines. Who knew the Philippines would have a similar version of McDonalds down there.